How does the Activator Method work? Restoring spinal balance safely and successfully has been the driving force behind the Activator Method Chiropractic Technique. Drop Table is a gentle chiropractic adjustment technique which utilizes a special table. This table has several sections which are specific to the areas to be adjusted (ie, neck, mid-back, etc). These sections area lifted by the chiropractor prior to delivering the adjustment and a tension is set for the piece. 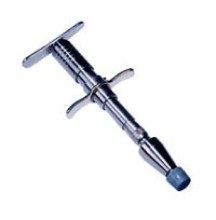 When the Doctor sets up on the specific area to adjust, he slowly adds pressure and the section of the table will release thus dropping down. When the table section stops the momentum of the body will continue (yeah physics!). it is this momentum of the body that is actually used to perform the drop table adjustment. Chiropractic Biophysics was invented by Don Harrison, DC and this technique utilizes a multi-modal approach. The aim of this technique is to reverse specific bad postures using exercises, adjustments, and traction. In reversing these postures you body will be in a better condition to operate in its full ability. After a complete analysis utilizing a special x-ray analysis and a specific device (Nervo-Scope), the Gonstead chiropractor determines which area will need to be adjusted, then the Doctor will deliver a specific adjustment. There are a variety of special tables and chairs of which the Gonstead Doctor will utilize to adjust the patient. 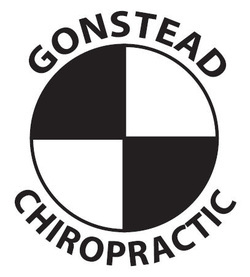 The Gonstead technique is as specific, precise and accurate addressing only the areas of subluxation.